Advance your projects with our expertise. Work with a trusted leader at the cutting edge of the industry. Whether you are an architect, new home builder, remodeler, or retrofitter, we can help you to take your projects to the next level so that you stand out from your competition. Lightly Treading will meet with project stakeholders to review plans and discuss what will be necessary to have a project achieve your performance goals. Lightly Treading will design the path to achieve your performance goals. From ENERGYSTAR®, to optimized comfort, to energy bill guarantees, to net-zero energy—we can take you there. Comprehensive computer modeling from architectural plans will project a home’s, multifamily or commercial building’s energy performance and determine how to meet your performance goals as well as 2015 IECC/ASHRAE 90.-2013 and other jurisdictional requirements. This allows you to have design details and specifications in-place before construction begins, saving you money. Gain assurance early on that home specifications will meet your performance goals and requirements. These inspections are performed before drywall is hung to verify quality of air sealing, insulation, and air duct sealing. This allows for issues to be identified while they are easy to access and repair. Lightly Treading’s pre-drywall inspections will target issues while they are still easy to access and repair. Depending upon your project we will work with you to select which of the following inspections are needed. 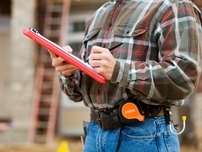 Lightly Treading Energy Raters will notify the builder and/or appropriate trade partner of any areas in need of improvement immediately, so repairs can be efficiently addressed without affecting your production schedule. Depending upon your performance goals, Lightly Treading can perform verification inspections and checklists for various national certification programs including: ENERGY STAR®, EPA WaterSense®, and EPA Indoor airPLUS®. Lightly Treading staff and RESNET Raters are knowledgeable about the eligibility requirements for the following certification programs. 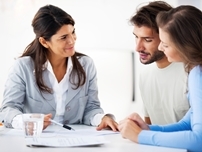 Should you choose to enroll a home in any of these programs, Lightly Treading will assist with completing and submitting the necessary verification checklists. If there is a program you are interested in that is not listed, please contact us, and we will do our best to work with you in achieving your goals. Inspection of a completed project verifies that performance levels have been met as expected and no details have been overlooked. Lightly Treading is here to work with you as you attempt to push the envelope and achieve advanced home performance with goals such as Passive House, Zero Energy Ready, or Solar applications. 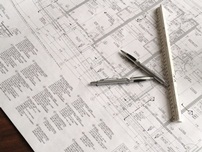 We can provide detailed consultations concerning building specifications and performance to help you achieve a home with truly unique energy performance. Contact us today to tell us about your project. With an initial performance HERS score, our experienced energy rater can model any changes in performance resulting from various modifications and upgrades made during design development. Lightly Treading can quantify return on investment, utility bill savings and reduced emissions possible through quality building materials and construction practices. This information can be used for adjusting plans to optimize the home’s performance and meet or exceed code compliance and any additional performance goals. Our RESNET Rater will notify you of changes that have to be made to meet 2015 IECC, other jurisdictional requirements, or other performance goals you have set as well as inform you of cost effective measures to enhance performance for your customers. Lightly Treading will meet with framer, air-sealing contractor, and builder to be sure code and/or ENERGY STAR® requirements are understood. LT will inspect the project after fire caulking and all other air sealing measures you intend to do have been installed. The purpose of this inspection is to identify sources of air-leakage prior to wall & ceiling insulation installation in order to ensure the project will pass IECC and/or ENERGY STAR® stringent air-tightness requirements during the final blower door test. Walk through inspection ensures that performance details of insulation and air-sealing are correct before the drywall is hung. Effective insulation and air sealing details are key to ensuring a high performance home. Inspections for “grade” (1, 2 or 3 levels of installation) while insulation corrections can be easily made; and completion of the Rater Field Checklist (as required for any projects seeking ENERGY STAR® certification). Our inspectors are thorough and detail-oriented to ensure you are meeting if not exceeding standards. The required checklist for ENERGY STAR® certification with the assistance of the HVAC company and builder will be filled out and saved for completion at the final inspection. Measured pressurization of duct systems before drywall is hung will help determine if ducts are adequately sealed as well as assure that there are no disconnected or poorly connected ducts while they are easy to access and repair. 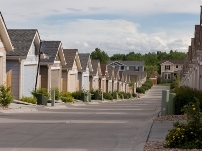 Ensuring an effective delivery of heating and air conditioning is a key component to a comfortable and efficient home. Lightly Treading Energy Raters will immediately notify HVAC contractors of duct systems found to be performing poorly. ENERGY STAR verification ensures that new homes are built with the environment and inhabitants in mind, by achieving lower utility bills and enhanced comfort. Not only does this program strive for a comprehensive approach to promote comfort, quality and durability, but it also exceeds many adopted Local Energy Codes. An ENERGY STAR rated home requires completion of the Thermal Enclosure, HVAC Systems and Water Management checklists. The Lightly Treading team can assist at the beginning of the design phase or later during construction to help your home attain ENERGY STAR certification. It is recommended that we begin work with you as early in the construction and design process as possible. You can learn more about ENERGY STAR here. WaterSense is an EPA Partnership Program that has been saving water through marketplace product monitoring and newly constructed home certification programs. WaterSense partners with manufactures, retailers and distributors to bring water efficient products to the general marketplace. Your home can be designated as a WaterSense home by a RESNET Rater in as little as two hours if design criteria have been met. Such criteria include performance testing to ensure proper flow rates, low water temperature conversion, and adherence to specifications for appliances as well as adherence to design measures regarding landscaping and irrigation systems. You can learn more about EPA WaterSense here. Indoor airPLUS was created by the EPA to help builders meet a consumer preference for high efficiency homes with improved air quality. As you know, tightening the home’s envelope adds significant energy efficiency, but it also reduces the air exchange through the building shell. This can contribute to pollutant buildup inside homes, as well as mold and moisture problems. These can be avoided, however, by integrating indoor air quality protections with energy efficiency measures. 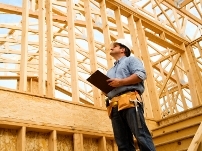 Indoor airPLUS Construction Specificationsinclude prevention measures addressing moisture control, HVAC system design and balancing, combustion pollutants, and pollutants associated with the off-gassing of building materials. Including Indoor airPLUS in your plan will show your customers that you not only care about reducing utility costs, but also care about their health and well-being. You can learn more about EPA Indoor airPLUS here. Final details of the ENERGY STAR Rater Field Checklist started during the pre-drywall inspection are completed. Comprehensive energy modeling integrates all details of the final inspection results to verify completed project meets minimum performance requirements under IECC and other performance goals. This modeling verifies the performance levels against the initial Projected Energy modeling and/or calculations. If applicable, a final HERs score and performance summary of the home is generated. Lightly Treading will complete and submit paperwork for eligible projects to predetermined certification or incentive programs as confirmed with builder at time of contract and performance goals meeting. Learn more about various certification programs by clicking here.